We took a walk today. Unplanned, and we were sort of unprepared. We had our feet, and a compass (smart phone), and were within range of home. The folks we had spent much of the last 24 hours with were getting ready to head south to Eugene, and our home was north, so we decided to let them leave and opt for the bus or walk. It was not raining, as had been predicted, so we set off on foot. 5.75 miles and 937 feet of vertical gain later we arrived home. There was also 881 feet of vertical descent, although I would have guessed we were higher than home at the start of the walk. Much of the vertical gain happened very quickly, near the beginning. The program we were using also had us at 37 feet below sea level at the lowest point. This would be the Fremont Bridge crossing, but we did manage to stay dry. 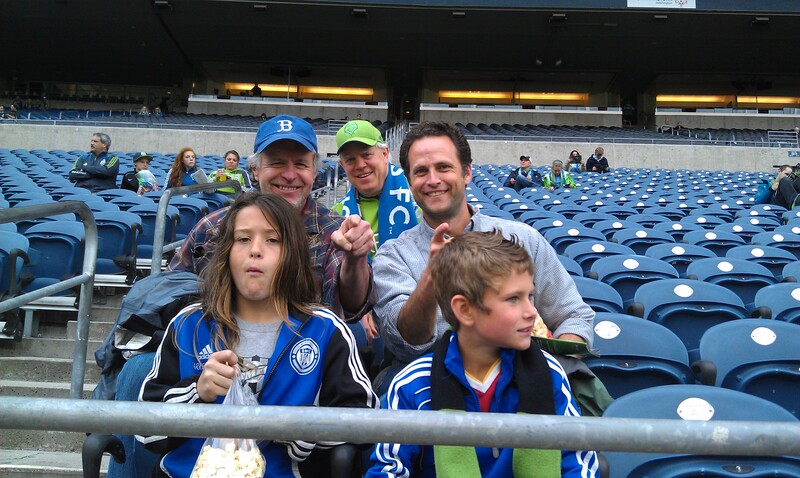 The reason for the Eugene contingent’s visit was the Sounder’s game on Saturday. They got to see a great game. Both of the kids are great soccer players. One is driven – practicing on his own. Carl and the kids had a great time goofing off. 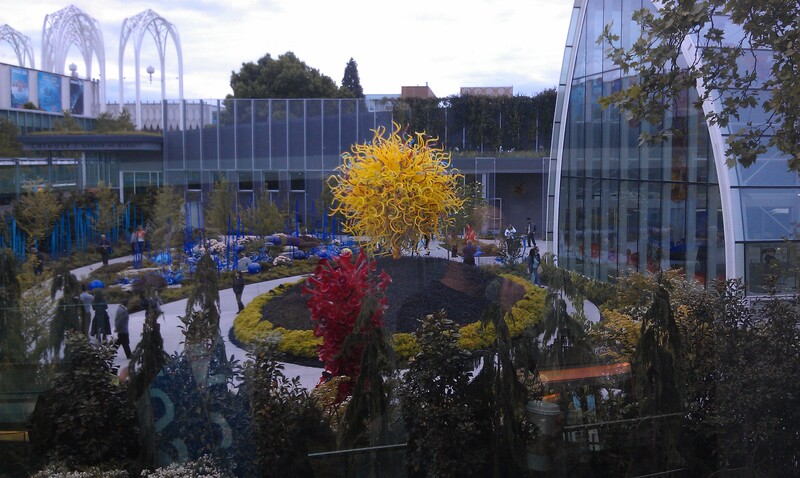 This morning we finally got to do some serious Seattle touristing, going to the base of the Space Needle, and generally hanging around at the Seattle Center for a bit. James’ jacket isn’t really light blue. It is green. Apparently green clothes make for poor choices when using green screen technology. 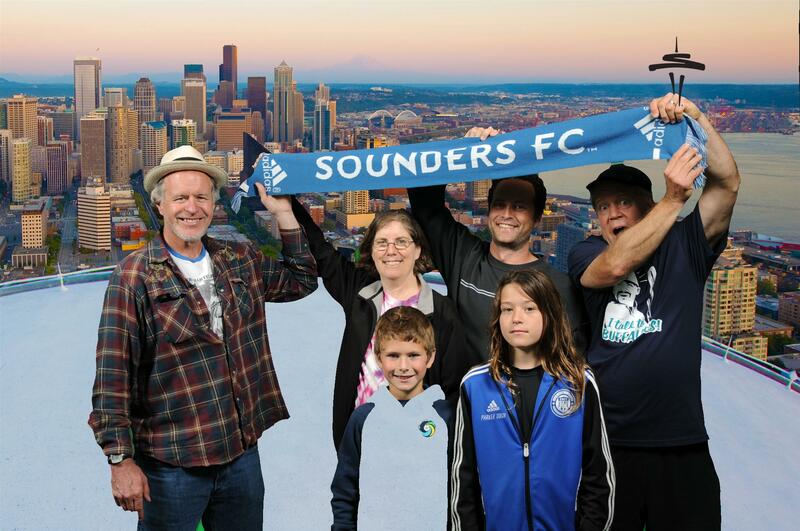 Some of the other backgrounds offered with the Space Needle Tourist shots have buildings in the background. On those he has buildings in his mid-section. On the walk home we started seeing faces in all sorts of inanimate objects. 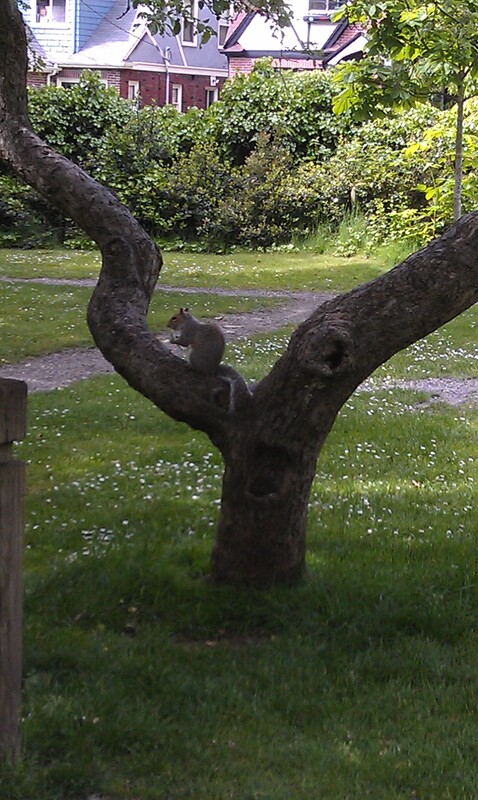 And a squirrel enjoying some delicacy. 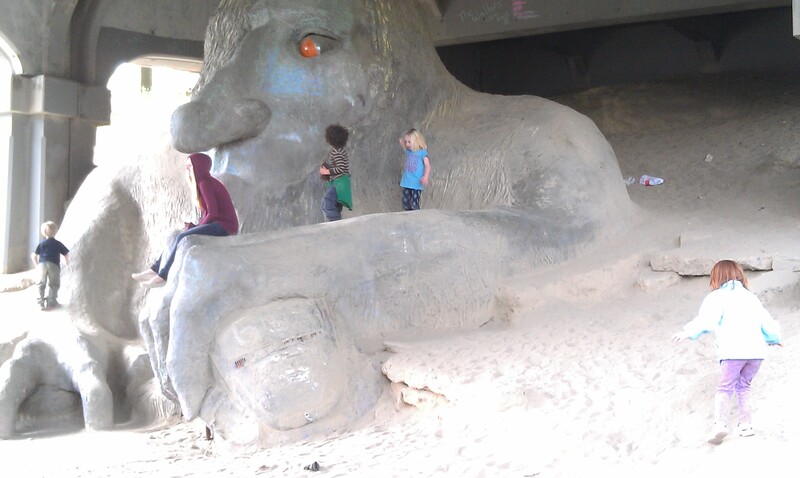 The troll was inviting small children in for a snack too. Now our goal is to get energy going again to get a bit more packing done. This morning I was working on tents, sleeping bags and winter accessories. 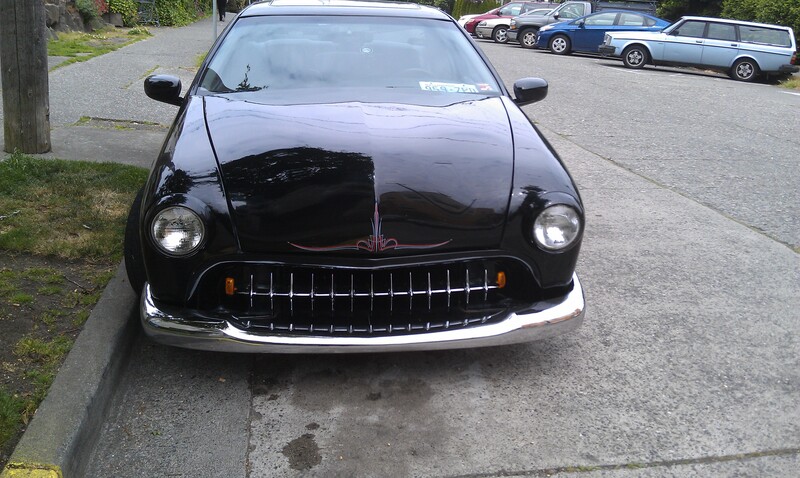 This entry was posted on May 19, 2013 at 5:37 pm and is filed under Uncategorized. You can follow any responses to this entry through the RSS 2.0 feed. You can skip to the end and leave a response. Pinging is currently not allowed. Love that little free library idea. It wouldn’t work in my area, but it is cool. The walk sounds great, especially the dry part of it. It’s sprinkled/rained off and on here. 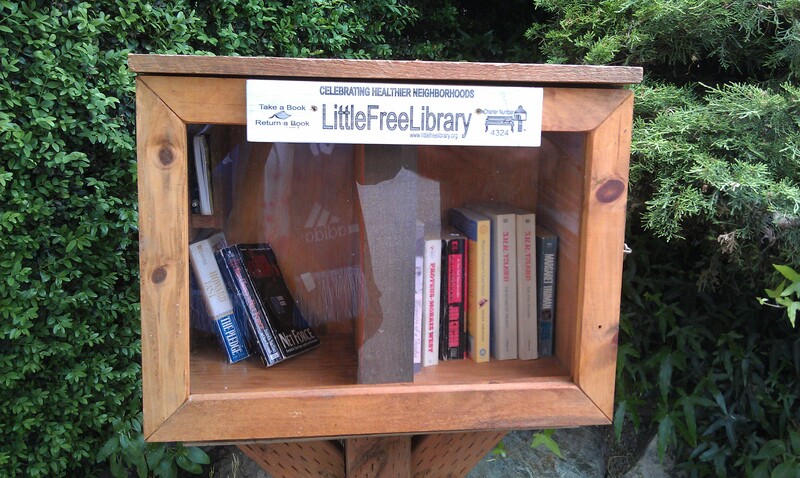 I love those little libraries — have never seen one around here. Packing? Where are you going?